When Nokia completed its acquisition of Alcatel-Lucent, the company took on a significant portfolio of telecom equipment including the Alcatel-Lucent DEXCS1. This is one of the more reliable and sought after digital electronic cross-connect systems on the market because of its reliability, functionality and broad support for stronger networking protocols. Presently, Nokia provides only minimal, limited support for existing Alcatel-Lucent DEXCS1 units because the product has been discontinued, and the product family itself has been divested to Telmar. Instead of operating that minefield of complexity just to get support, Worldwide Supply offers a complete line of used and refurbished Alcatel-Lucent DEXCS1 units, power cards, parts and more. Our single warranty system covers every OEM piece you buy from us and our repair plans can cover all of your existing telecom equipment. We are an OEM neutral source since it can be a challenge to keep track of who the current owner is of older telecom tech and its licenses. We take the worry out of keeping your network operational. 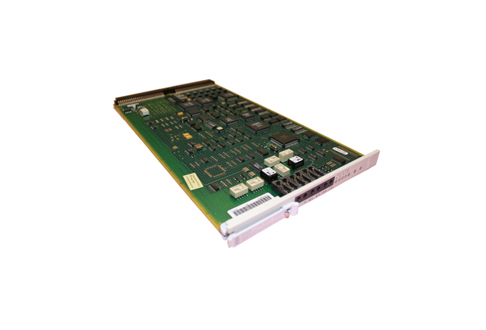 All the Alcatel-Lucent DEXCS1s we offer provide complete precision and reliability. This narrowband digital cross-connect switch family can continue to deliver network interfaces for signals at the DS1 (T1) and DS3 (T3) signal levels. Your used Alcatel-Lucent DEXCS1 system will still offer a full-featured platform with 3/1/0 SONET cross-connect. Scale as you need it to grow to large-scale narrow-band cross-connects and take advantage of its unique ability to bridge between the traditional telephony network and the cell-based data networks.